A colleague asks, what cool things would you do with those underlying data (e.g. GoTo Card data for the Twin Cities)? A reporter asked: How much parking is there in Minneapolis? This is not a question for which there is a well-sourced answer. These Ramps and Lots encompass over 20,000 parking spaces. (Subtracting this from the first estimate suggests only 5,000 parking spaces are private). Outside of downtown requires estimating. 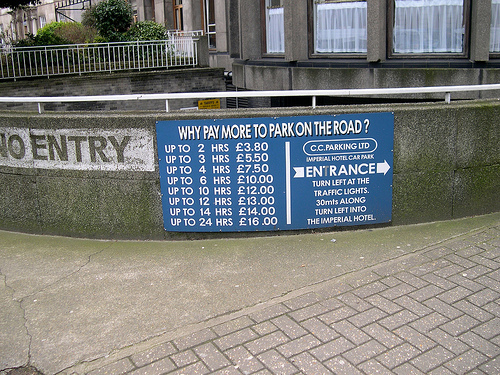 On street-unmetered parking? The City has 1100 miles of street . (I think this excludes state and county roads, I am not sure about park roads, but this is most of them). My guess is 200 spaces per mile (@ ~26 feet per car). If there were no “no parking restrictions” this gives 220,000 on-street spaces (The vast majority of which are unmetered). Off-street private parking. There are 155,155 households. If each one has 1 off-street space (some have 2 or 3, some have 0), that would be 155,155 off-street spaces in residential areas. I would guess based on national data about twice as many in commercial areas. Roughly every car has to have a space at home, work, and shop. In short there are lots of parking. Does anyone have a better estimate? It is a truth universally acknowledged, that a city in possession of a good transit system must be in want of some posters. The art of the poster seems to have diminished with the emergence of so many alternative media, ranging from TV to Internet, and markets for commercial art from advertising to the Infographic. Yet we still want to communicate with transit users and encourage them to behave in certain ways (shop during the off-peak, don’t eat on the bus) or consider certain destinations. While it would be great to have more new posters like the London ones in the upper left, we do not avail ourselves to the opportunities that are already present. I see ads for destinations at bus stops in the Twin Cities which don’t even tell you how to get there via transit. A recent one I saw was this otherwise excellent poster for the Como Zoo . How hard would it be for the Zoo ads (or all ads) to have a tag line at the bottom identifying which bus routes (the number 3) serve the Zoo? Maybe the transit agency could encourage posters for destinations to have brief transit information on the poster (by discounting the ad rate a little bit). It might be possible to get other places by transit. 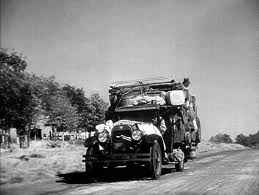 The Transportationist.org blog is moving (for some of the reasons described in No Comment). 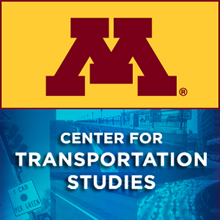 If you use an RSS feed of http://blog.umn.edu/levin031 from Google Reader or any other RSS Reader: YES … Subscribe to http://transportationist.org/feed/. Also note that Google Reader will be disappearing. (I use FeedBin and Reeder now). The old site will be there for a long time to preserve existing links in, but it will not be updated. Thanks for your patience. Let me know if you spot problems. “One provision in the state tax bill could have a significant impact on Mayor R.T. Rybak’s dreams of building a streetcar in Minneapolis. The bill allows the city to dedicate tax revenues from several specific parcels around Minneapolis to help pay for a new streetcar line. The city pushed for the new funding method because, unlike regional transit like light rail, streetcars would be a localized project requiring more municipal investment. Federal funding is still key to the deal. 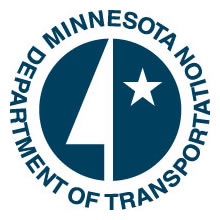 The city won federal funding to perform an alternatives analysis for a line along Nicollet and Central Aves. 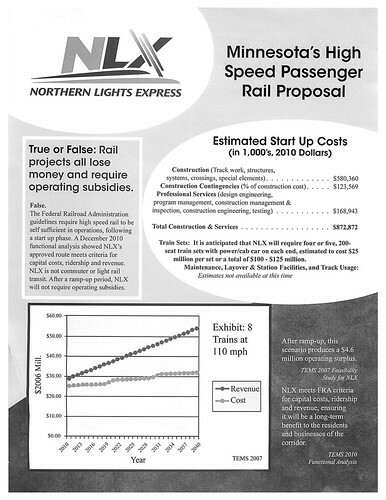 — which is almost complete — and city staff are preparing to apply for a TIGER grant to help fund the line itself. My way was blocked by a sign signifying nothing. Same site as last fall, at The Commons hotel on Harvard. 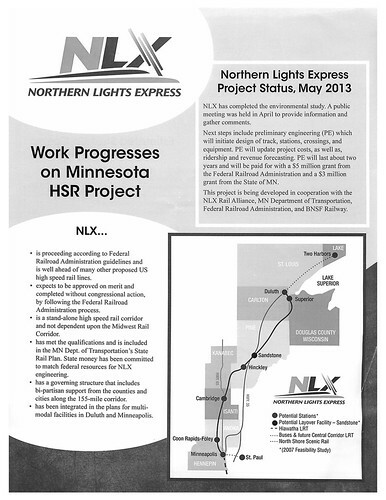 Just for the historical record, please find attached a scan of the 1 page / 2 sided brochure that the promoters of the Northern Lights Express distributed at the May 11, 2013 National Train Day event at the Saint Paul Union Depot (in case anyone is unclear on the matter, I do not endorse these claims).